A recipient of an honour ‘The World’s Largest NGO-run School Lunch Programme’, The Akshaya Patra Foundation – an NGO in Bangalore aims at serving wholesome meals to the school children and eradicate classroom hunger in India. The kitchens form the heart and soul of the Foundation. Getting meals ready for over 1.7 million children each day calls for a highly mechanised and scalable infrastructure. So, the Foundation has come up with the ‘Centralised Kitchen Concept‘ to enhance the cooking operations and serve more. Depending on the need, geographical terrain and road connectivity of the location, Akshaya Patra concludes on the model of the kitchen. Out of 38 kitchens across India, 36 kitchens comply with the centralised model, and 2 locations follow a decentralised model. 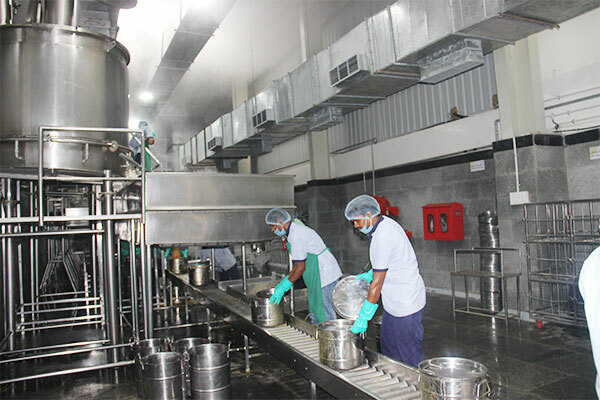 Taking a tour of the Jigani kitchen, one can easily sense that every corner of the kitchen is thoughtfully ideated and speaks on how it makes the beating heart of Akshaya Patra. 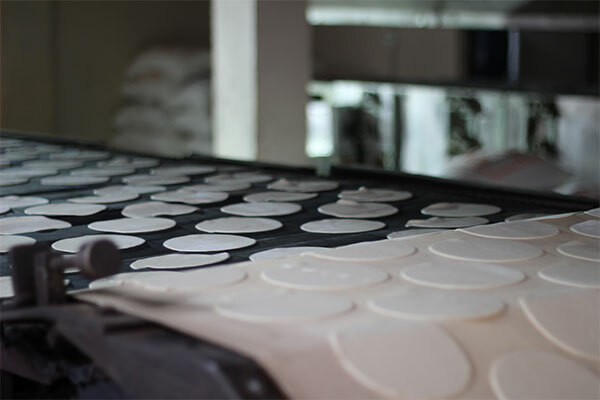 Roti-making machine - The roti-making machine at Jigani has a capacity to roll out 10,000 rotis (Indian flatbread) in an hour. This improves sanitation and efficiency as the entire process is mechanised and there is nominal human interruption. Stainless steel vessels - Akshaya Patra uses stainless steel vessels in the Jigani kitchen with an idea to distribute heat evenly, avoid food from sticking, and keeping food indestructible. Conveyor belt and honeycomb delivery vehicles — To make the loading process of prepared meals easier and faster, this centralised kitchen concept has adopted the concept of conveyor belts. 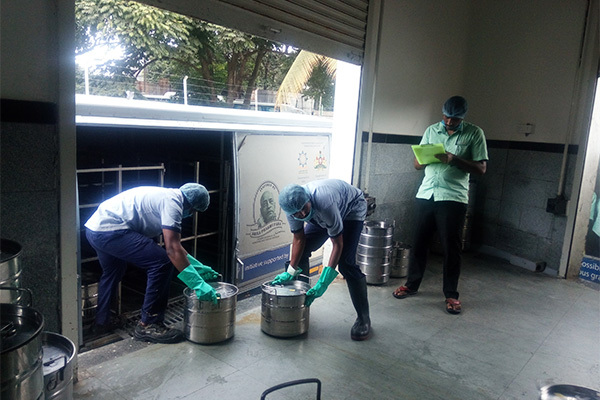 The vessels with packed meals are sent across on a conveyor belt which gets loaded on the specially customised (honeycomb design) vehicles. Honeycomb design is adapted in the delivery vehicles to avoid spillage of food. Reverse Osmosis System — The kitchen uses purified water specifically filtered in a 3-step purifier of the plant. 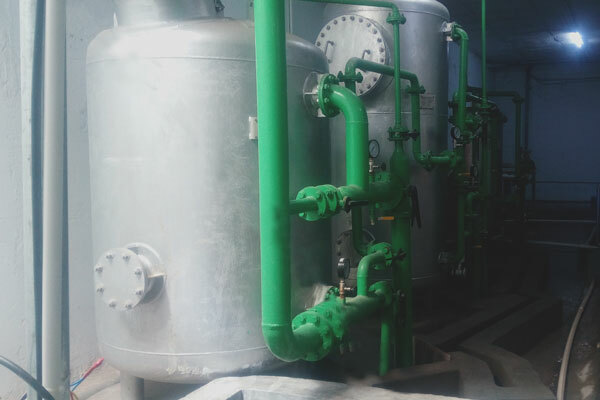 It is a water purification technology to make drinking water more potable. 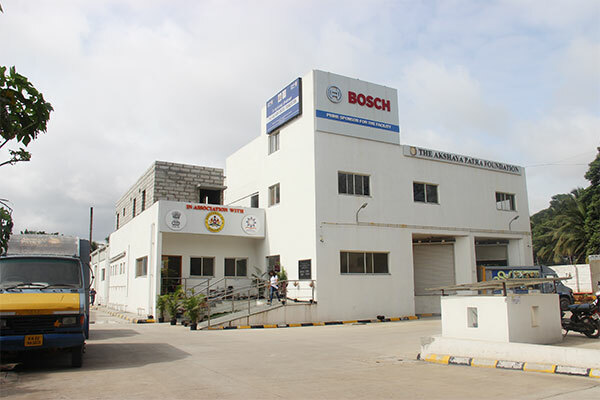 Flexible operation and resistance to scaling enhances the reliability of RO system in the cooking operations. 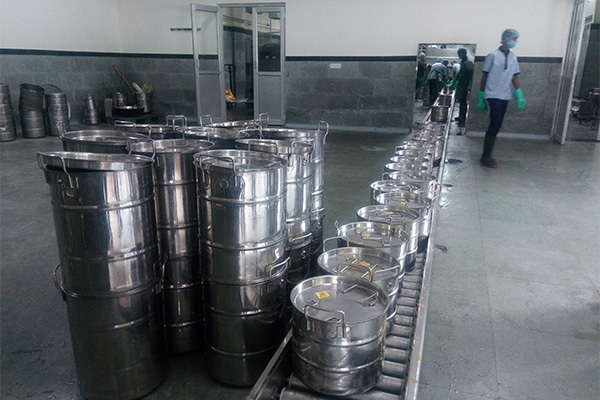 Such state-of art kitchens of Akshaya Patra, an NGO in Bangalore, is adding up to its noble cause of feeding school children and helping them to live happy and healthy. Take a tour to our kitchens today and support our cause!